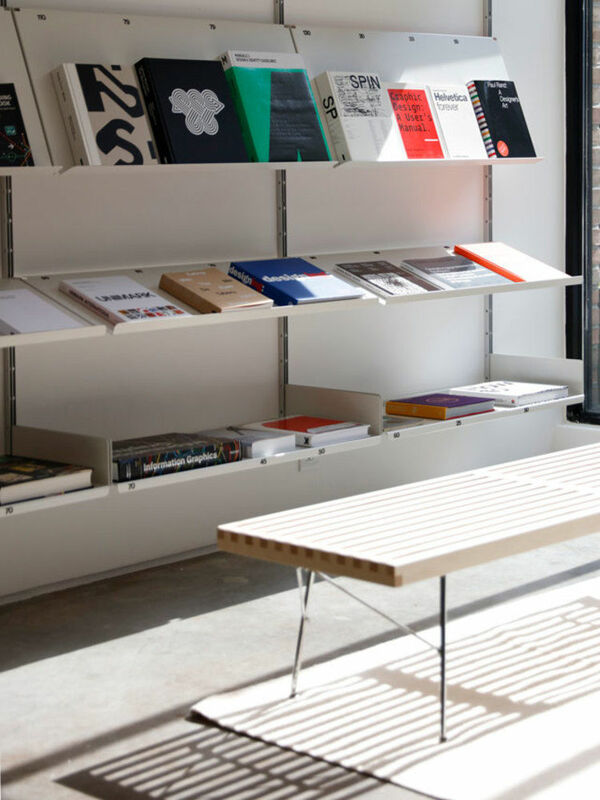 Jesse Reed and Hamish Smyth have been very busy lately with Order (their brand new design studio) and Standards Manual (their brand new bookshop), both based at their Brooklyn HQ. Tag Christof went to meet the industrious and very talented duo. 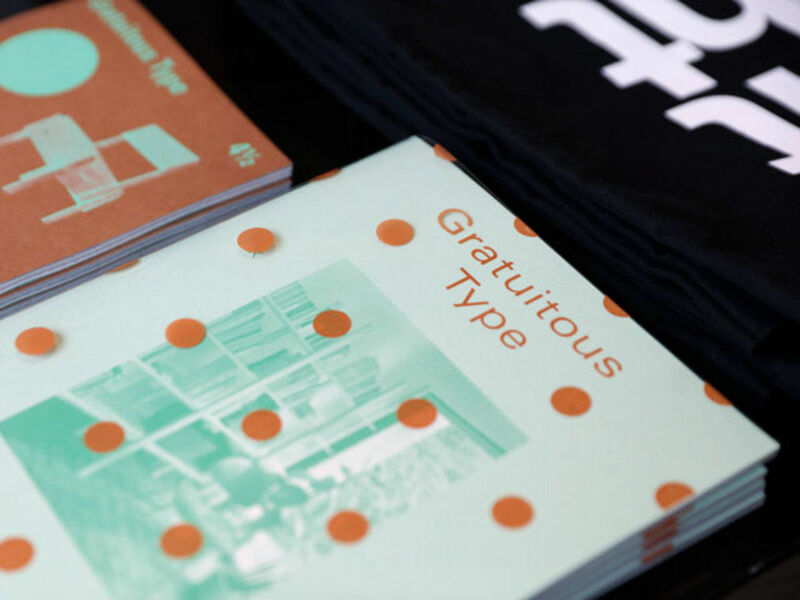 It might seem hard to believe, but Brooklyn had no dedicated graphic design bookstore until Jesse Reed and Hamish Smyth opened their Standards Manual store. The tidy new shop also just so happens to front the headquarters of Reed and Smyth’s equally new design practice, Order. 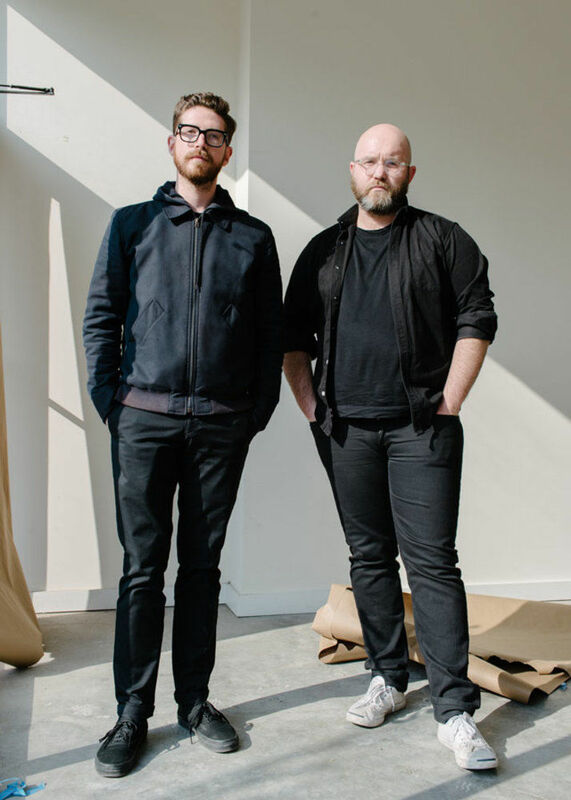 The two have struck out on their own after spending most of their early careers at Pentagram in Michael Bierut’s studio, where they worked on campaigns and identities for clients as diverse as Saks Fifth Avenue and Hillary for America. 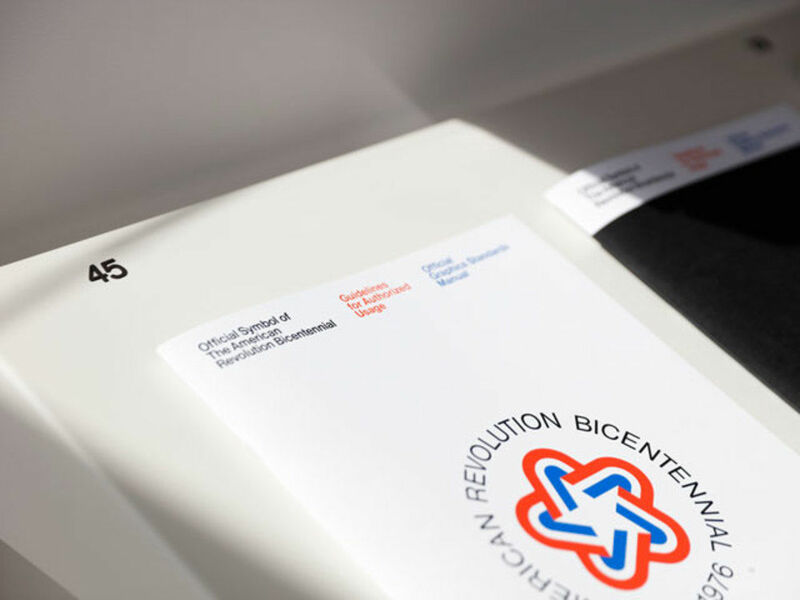 The young designers are already among the greats of their generation, thanks in no small part to their wildly successful Standards Manual series. 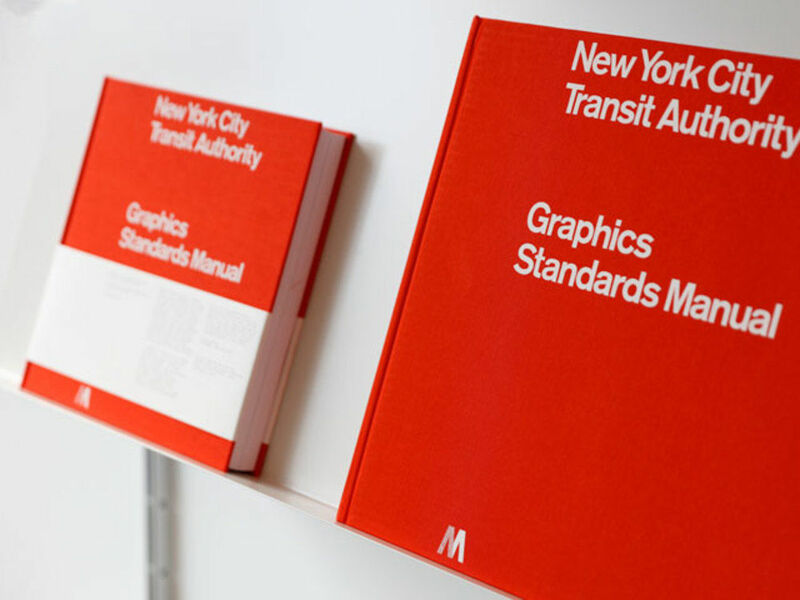 In 2014, they unearthed a rare but pivotal piece of graphic design history, the New York City Transit Authority Graphics Standards Manual. The 1970 original was the result of an exhaustive process of research and design by Massimo Vignelli and Bob Noorda for the late-great Unimark, and became the blueprint by which the then bewildering New York City subway system was at last untangled. Though the document had long been mythologized by designers and urban planning nerds, few had seen the manual in its entirety until Reed, Smyth, and fellow designer Niko Skourtis photographed it and placed it online. After the site attracted a flurry of interest, they launched a Kickstarter campaign to reprint the manual in the highest quality possible. The initiative was wildly successful, and led to a series of follow-up campaigns, each one far exceeding its original funding goal. 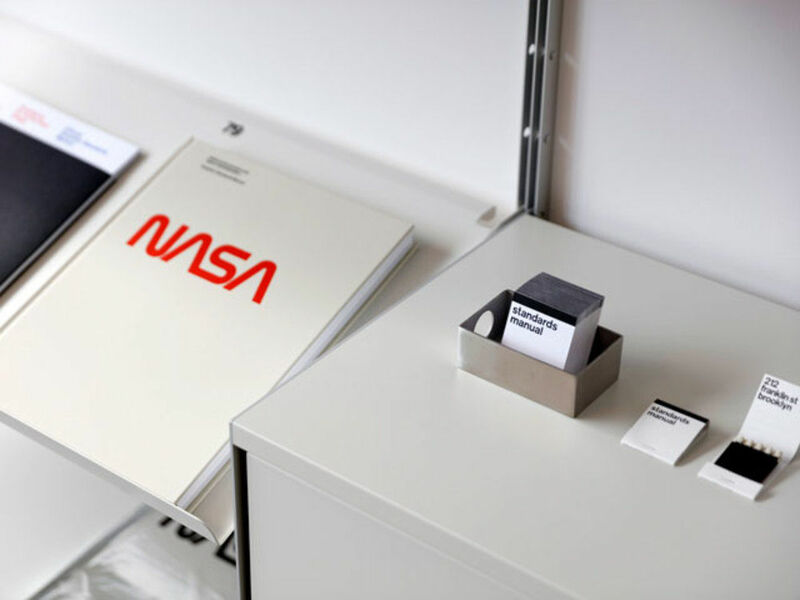 The first follow-up was the 1975 NASA Graphics Standards Manual by Richard Danne and Bruce Blackburn, a weighty, handsome volume wrapped in space age silver foil and showcasing the identity built around the iconic sci-fi “worm” logo, followed by a manual of Blackburn’s 1976 identity for that year’s U.S. bicentennial. The series’ fourth and latest edition, for the first time not released in limited form via Kickstarter, is Objects, a collection of meticulously catalogued artifacts and memorabilia related to the New York City Subway system, all photographed over several years by Brian Kelley. I visited Jesse and Hamish at their new bookstore and HQ, when it was empty and primed for installation of new shelves and desks, just before opening day earlier this year. Let’s back way up and start with a little bit of background on each of you. Hamish, you’re from Australia and Jesse, you’re from Ohio. How did you both get into design? Jesse: The reason I became a designer, officially, was because of Armin Hofmann. At this point everyone should know his book Graphic Design Manual, but it was studies from that collection that struck a chord with me. More cliches, but Joseph Muller-Brockmann, John Massey, Herbert Bayer, Tomoko Miho – they became an obsession of mine and obviously influenced the way I consider design to this day. However, the reason they were brought to my attention was only because of my professors – Gordon Salchow, Maureen France, Joe Bottoni, Heinz Shenker, Sennis Puhalla, Kristin Cullen, and a few others – they all shaped our thinking and how we see the world. I can remember my first day of Type 1, and Kristin saying “Do you see these blinds? Do you know what I see? A baseline grid.” I know it sounds a little funny, but for whatever reason it resonated with me and I was hooked. This isn’t my personal invention of a philosophy, but coming out of my education and professional practice, I’ve found reductive design to be a reliable approach. It’s not minimalism. I think that’s too easy a way out from the start. Starting with a complicated mass and slowly reducing it down to a core foundation is difficult, but that’s the magic of a design process. I should stop there. Hamish: Fun fact is that we were both born in Australia. Jesse’s mother is American and he moved back here at a very young age. I moved here when I was 22 for an internship at Pentagram (I won an award at a conference in Australia for my student portfolio, and the prize was the internship). I learnt almost all I know about design from Michael Bierut. I studied at RMIT in Melbourne, which gave me a really good foundation. But I don’t think I became truly obsessed with design until I started working at Pentagram. There I delved into the history much deeper than while at school. What I learnt most from Michael was the art of presenting design work. He has a way of speaking and including everyone in the room that is truly remarkable, and hard to put into words. If you have been lucky enough to experience a presentation by Michael, you know what I’m talking about. Luckily I got to experience this hundreds of times, and I can only hope a bit of his magic has rubbed off. Congrats on the latest Standards Manual release, Objects. What’s the future of the project? Jesse: We’ve gotten really good at preparation. This covers everything from how to make the video, who to pitch the campaign to, and production techniques for the scanning and reproducing the original document. This book has the most spot colours being used, so luckily we’ve had some practice with others on how to best extract those areas and make sure each page is reproduced accurately. The video was also something we’re really proud of, and think this is our best one yet. We were able to collaborate with some really talented people on getting the nature footage, conducting the interviews, and scoring the music. Even though the other two were also in the realm of ‘mini-documentaries,’ this one in particular felt like a crucial time to be capturing and discussing the importance of the EPA, design-focused and not. Hamish: We’re planning on expanding our breadth of subject matter with our next releases. We can’t comment just yet, but over the next few years you’ll see some other types of books coming from Standards Manual. So, what’s the vision for the combination workspace/bookstore space? Why Greenpoint? 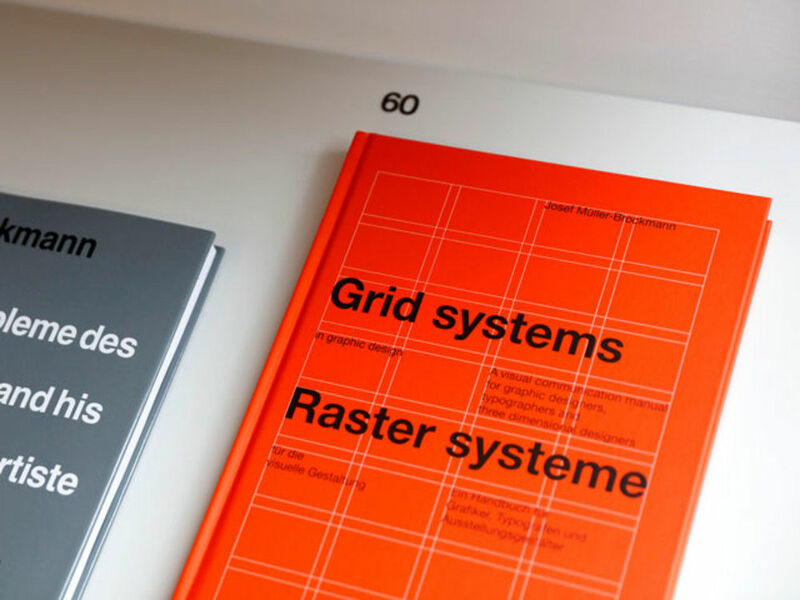 The new space is the home of our two companies: Standards Manual and Order. 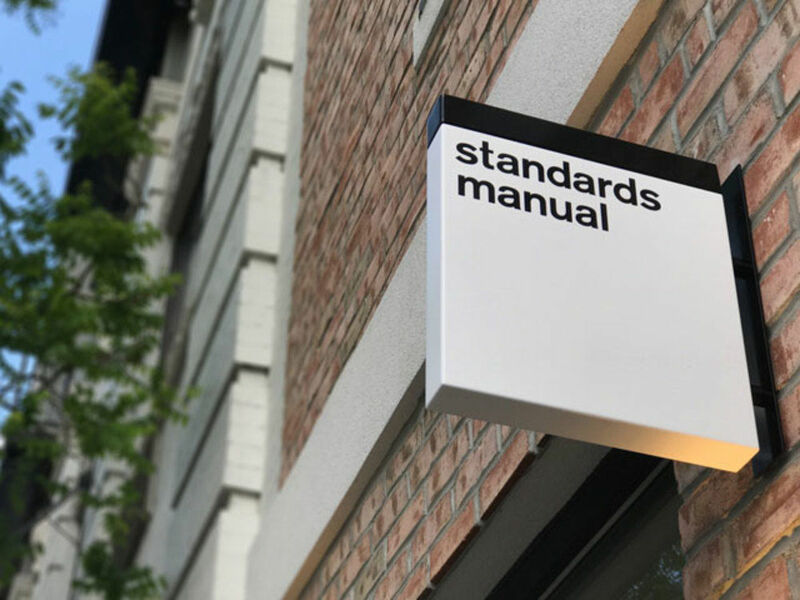 In the front of our office is a small bookstore, also called Standards Manual. 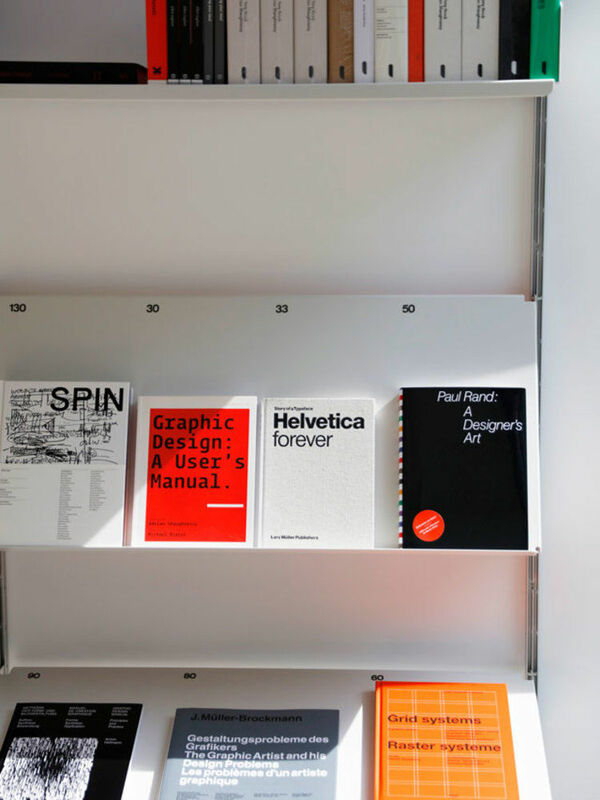 This essentially acts as the showroom for our Standards Manuals, and we’ve also added a selection of other graphic design titles from other publishers. So far we have about 35-40 titles of new and vintage books, and we’ll probably keep it at that size for the first few months. In the back of the space is Order, where we have 2 employees plus the two of us. Additionally, we have a sizable backyard that we’ll use as a meeting place and hope to do some events this summer and in the coming years. We envision speaking events, book launches, and the like. Greenpoint was somewhat of a random choice for us. We started looking in Manhattan, mostly on the Lower East Side, Chinatown, and in the East Village, but everything in our budget was really small. Then we began looking into Brooklyn and since I live close to Greenpoint, we just started walking around and calling places for rent. When we came across this one we both had the same reaction – “THIS IS THE ONE.” We acted pretty quickly and signed the lease on March 1. Also, I think we can both agree that we love the neighborhood. It’s far enough up, but not too far, that it feels like a small village where there’s a specialist for everything. We’re surrounded by a ton of talented people in the food world, furniture, carpentry, etc., and it feels really nice to be part of a community that supports one another. Compared to Manhattan and the Brooklyn neighborhoods along the L train, it’s heaven. Ok, so give me the elevator speech for your new design practice Order. How is it different from Pentagram? Will you continue to work with Michael Bierut at all? Jesse: To be honest, our basic difference is size (and history, pedigree, portfolio, etc.). We see Order as having very similar structure to Pentagram, but it would be as if Michael’s team broke off and was a standalone operation (minus half the team). Hamish and I really loved the way Michael ran his team, where he would give almost full responsibility to a single designer, let them manage their clients, and produce the work from start to finish. There weren’t any internal brainstorming sessions, post-it note walls, or group critiques – everything was one-on-one and very streamlined. We think that sort of efficiency is good business. We were at Pentagram for about six years, and we learned so much from that experience – from Michael, to the other partners, to the clients themselves. When we started Standards Manual together in 2014, that struck a connection between us that developed into a really strong working relationship – not only as designers, but also business partners. At a certain point you start thinking about the future and where you see yourself. We both got the itch to brave it on our own at about the same time, so we did. You’re never going to make partner by sitting in a seat at Pentagram. The only other option (if you want it) is to make it yourself. I can’t say this enough – we absolutely adore Michael Bierut – for as long as he’ll answer our calls, we’ll be in touch with him seeking guidance. The working part probably not as explicitly (although we wouldn’t say no), but he’ll always be our mentor. Jesse: It’s a pretty mixed bag, but a very similar landscape to the clients we had at Pentagram. Mostly still identity/branding work with a few publishing and environmental projects thrown in. A few clients have come to us out of the blue, a couple we retained from pentagram, and then the usual referrals from friends/past clients. the industries range from tech, food, architecture, municipal, healthcare, and data science – all things we know nothing about and are having a great time learning from. as the boss always pointed out, “being a graphic designer is like working as a spy” – it’s very true. Hamish: We have initiated a pro-bono program we are calling “Change Order. Every year we want to work with an organization that is doing some good, but needs help with their identity and communication. We’d like to focus on organizations outside of the city that perhaps could never afford “New York prices.” This year we are working with a couple that lost a brother to veteran suicide. We’re designing a book for them containing photos discovered on the hard drive of the deceased brother all taken during his deployment to Afghanistan. No one knew he had taken these photos until they discovered the hard drive while sorting his belongings. They are haunting and beautiful. Tell me a little about any side projects you’re involved in. What do you do for fun? Hamish: My work is really fun for me, so I don’t see a clear difference work vs. fun. I believe in that saying that if you love what you do for a living, you’ll never work a day in your life. I have had a long running obsession with street photography for the last 10 years. I picked up a Rolleicord in 2007 and have been shooting regularly since. My dad had a darkroom at home growing up (still does) so I learnt a lot of the old ways of doing photography. I don’t have a darkroom in New York, and I’m miserably (like 5 years) behind in scanning in negatives. I think I enjoy shooting more than the rest of it. I’ve only ever shown a handful of people a couple of shots over the years. My long term goal is to change that and somehow show some work. Jesse: I play drums in a band called Peels. It’s my one hobby outside of design that I think I’m moderately good at. I’ve played drums since I was in fifth grade, and it’s something that never really escapes your brain – or any musical ability for that matter. New York isn’t the easiest place to play, but I’ve finally found a group of guys to kick it with. Aside from than that, I applied to be a Big Brother and got accepted – just waiting to get paired up. Looking forward to that experience. Can design still save the world? Can it even change the world? Should it try? Jesse: Could it ever? Listen, design is a piece, a tool, a small little morsel of the solution. One single job never overcomes on its own; everything needs support from everything else. I do believe that design is a strong device that allows people to understand ideas better, feel something they hadn’t before, and carry them from one point to the next – physically or fundamentally – my only job is contributing to these principles. Hamish: Nothing is going to save the world, but design can make it better. Everything man-made has been designed, really badly or really well, and everything in between. But it’s all just made by people like us. Normal people making incremental changes that, if well designed, can add up to a greater good.